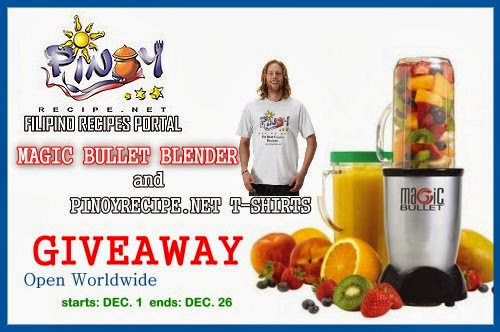 sign up for the Magic Bullet Blender and T-Shirt Giveaway Event! Additional links and Host pages are available at minimal fee. This entry was posted in announcement and tagged giveaways, Goldilocks on 26.November.2013 by admin. That is right! Kiwi is my new favorite fruit. Looking back, my Papa bought this fruits on several occasions just so his children can taste it and I wonder why I did not fell in love with it the first time I had a bite. I simply love its succulent taste and its texture. It is now one of my faves and I make a mental note to get a couple whenever I go to the grocers. I recently got a few pieces when I went out to look for high temperature adhesive and run a few errands. When I got home, I took out my bento tools to create a few car-shaped pieces for the little man. Although Jared dismissed them with nonchalance, I rather enjoy creating these cute kiwi cars and ended eating them all up, too. Oh how I wish I can get the little man to eat these babies. They are a good source of a number of nutrients and minerals, including Vitamin C, as well as Vitamin E and dietary fibers. This entry was posted in food musings and tagged fruits on 25.November.2013 by admin.